These days, figuring out where to buy a ukulele can be just as tricky as figuring out which ukulele to buy. Like everything else, many people make the internet their first stop when they’re shopping for a ukulele. There’s no doubt the web is great, but it’s worth considering all your options before taking the plunge. If you’re a first-time uke shopper, I’d recommend my article on how to choose choose a beginner ukulele. I’m a proponent of supporting local music stores, but I can appreciate why many people choose to shop online these days. Some people don’t live near a good local music store, and even good local music stores often don’t have a large selection of ukuleles. Shopping online can be easier and more convenient, not to mention that the internet provides great access to information and reviews. My collection of articles about buying a ukulele has lots of great info for beginners and should be helpful for anybody thinking of buying a uke online. There’s no denying that the selection is far better online. Many of the large online retailers have a ridiculously large assortment of ukes. Of course, the massive selection of ukes available online cuts both ways, since it can be tough to make a decision when you’re faced with hundreds of frustratingly similar options. Shopping at a local store will give you a more focused shopping experience. To help cut back on decision anxiety, jump to my article on the best beginner ukes. As I’m sure you’ve learned, the internet brimming over with articles, reviews, and guides. This can be great for people who really like to dig in and research the heck out of their purchases, but it might be a little overwhelming for folks who just want to find a quality product and worry about other things. People often assume that everything is cheaper online, but this often isn’t the case. 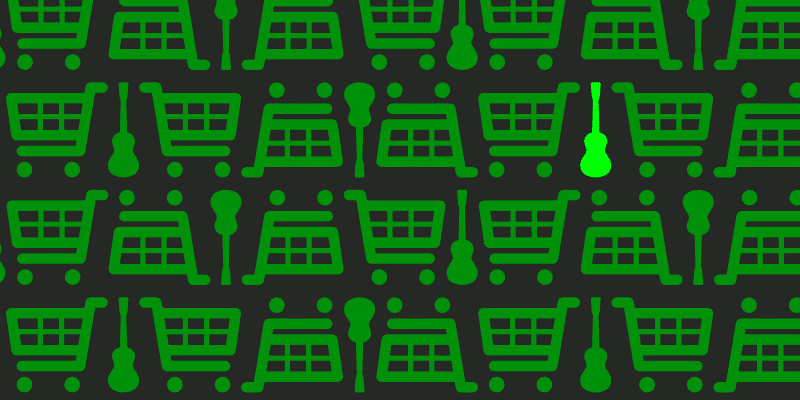 If you see a uke online for $99, it’ll probably be $99 at your local music store. This is because most ukulele brands hold their dealers to standard minimum prices. In the music retail industry, this is called MAP, or minimum advertised pricing. Buying locally means you’ll have a chance to see and try the uke before purchasing, and you’ll be supporting a local business. 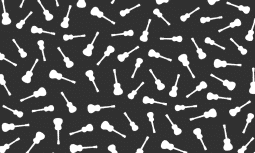 Many online retailers have extremely buyer-friendly return policies, often up to 30 days. When deciding where to buy a ukulele, there are a few reasons why it makes more sense to get your uke from a local music store as opposed to a large web retailer. Nothing compares to holding a uke in your hands before you make a purchase. Not only does this give you a chance to check out the quality of the product and hear how it sounds, but it’ll allow you to see which ukulele size works best for you. Most brick-and-mortar music stores inspect new ukes before putting them out on the floor, so you know you’re getting something without any problems. A good shop will also be able to make adjustments to a ukulele’s action (string height) so it’s easier to play. This is often not needed since even inexpensive ukes are pretty consistent these days, but it’s nice to know it’s an option. Customer service and support are usually better at a brick-and-mortar store because you’ll have a real person to answer your questions. I’ve found that music store types are usually pretty relaxed, and in most cases salespeople aren’t pushy or aggressive. Still, people who prefer to avoid the human element of shopping may prefer to buy online. In my experience, most local shops strive to take care of their customers and help them out with support issues. If your uke develops a problem a few months after you bought it, your local shop will most likely work with you to set things right at little or no cost. If you buy online and something goes wrong, getting help could be tough when you’re dealing with a large, faceless company. 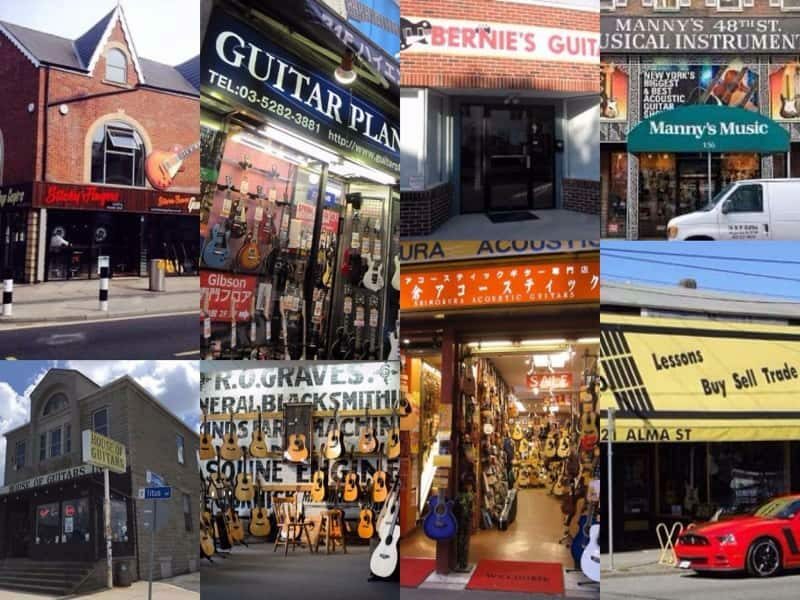 As I mentioned above, most music stores will offer the exact same price as you’ll find online. Big box stores are sort of a hybrid between online shops and local stores. They tend to have a larger selection than local shops, and prices are often better on small-ticket items like strings and cases. Big box stores also usually have a very liberal return policy. On the other hand, big box stores have developed a reputation for having less knowledgeable salespeople and less skilled technicians on staff. I’m not a huge fan of these stores, so if you can find a small shop nearby you should at least check them out. But I also understand that for many people, the big guys are the only game in town. 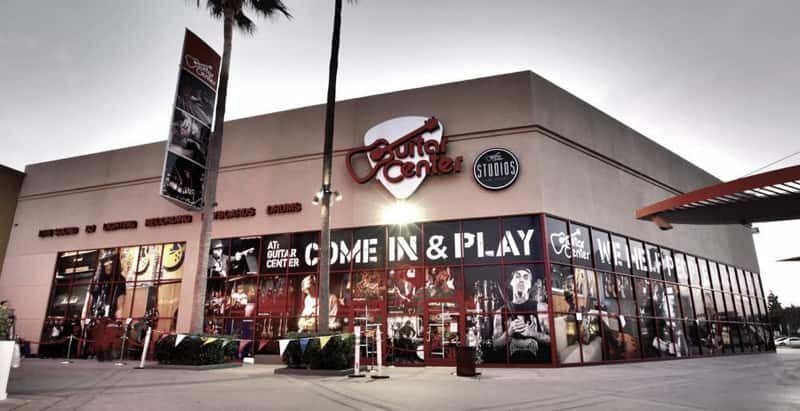 The most well known big box music store is Guitar Center (pictured above). Many people call it the Walmart of guitars, but to be fair it’s a more like a Best Buy. 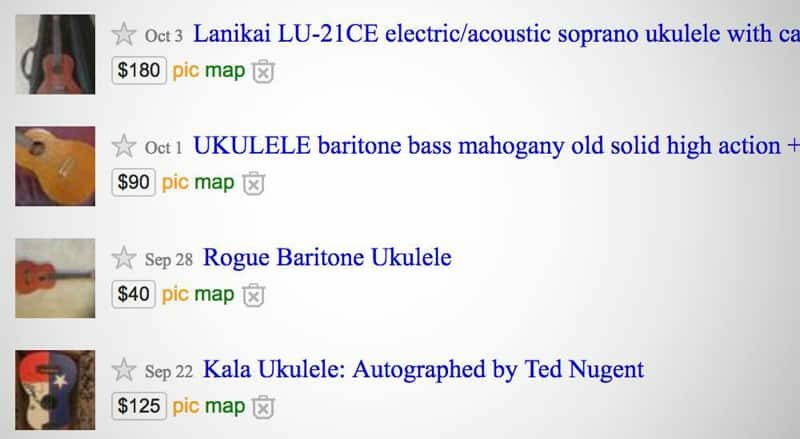 If you know what to look for and do your research, Craigslist can be a great way to get a good used uke at a fair price. On the other hand, if you don’t know what you’re doing it’s easy to overpay or end up with a problematic instrument. Even if your Craigslist uke is problem-free when you get it, if something goes wrong down the road there’s not much you can do. Shopping on Craigslist could be a whole article in itself, but the biggest offense I see is when sellers ask WAY too much for their ukes. I personally think you should never pay more than 75% of the new price for a used instrument, and that’s only if it’s in excellent condition. 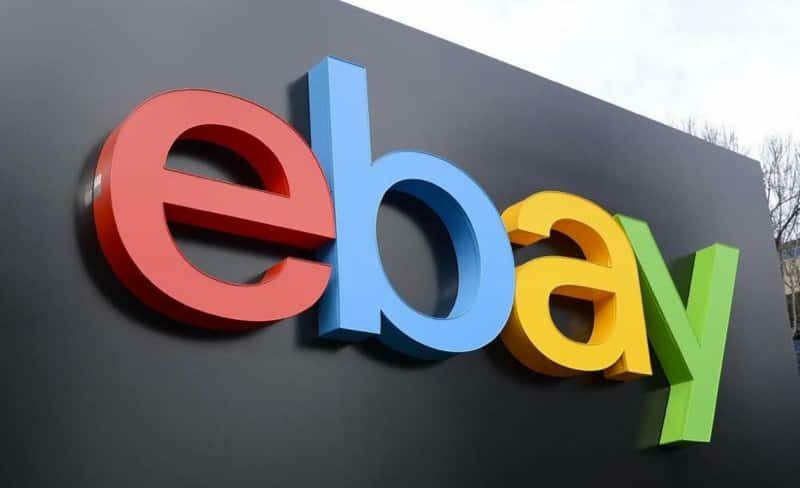 eBay avoids some of the pitfalls of Craigslist due to the feedback system. If you see a uke for sale and the seller has a lot of positive feedback, there’s a lower risk than when buying from a stranger on Craigslist. On a similar note, eBay will be there to help you out if you have a dispute with the buyer. This doesn’t mean they’ll side with the buyer (i.e. you) 100% of the time, but it’s nice to know you have some recourse if your uke has an issue. eBay is also a good place to find higher end pre-owned ukes for reasonable prices. It’s possible to find ukes from well-known brands like Kamaka and Martin for hundreds of dollars less than the new price. This makes eBay a natural choice for folks trying to figure out where to buy a ukulele that’s a step up from a beginner model. There are tons of cool vintage ukes for sale on eBay, but I’d only recommend this route for more buyers with a little experience under their belts.